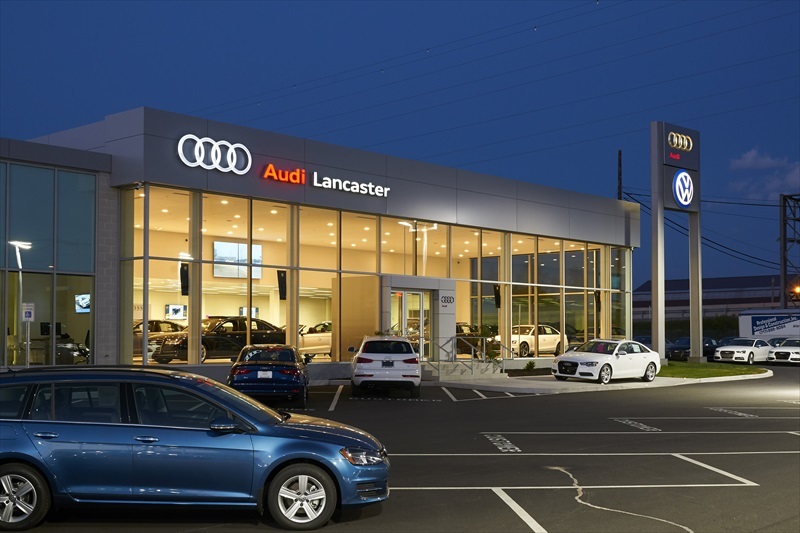 Completion of Lancaster Audi was the capstone project in the development of Autohaus Lancaster’s five-phase, 12-acre retail campus and master plan developed by Professional Design & Construction, Inc. (PDC). 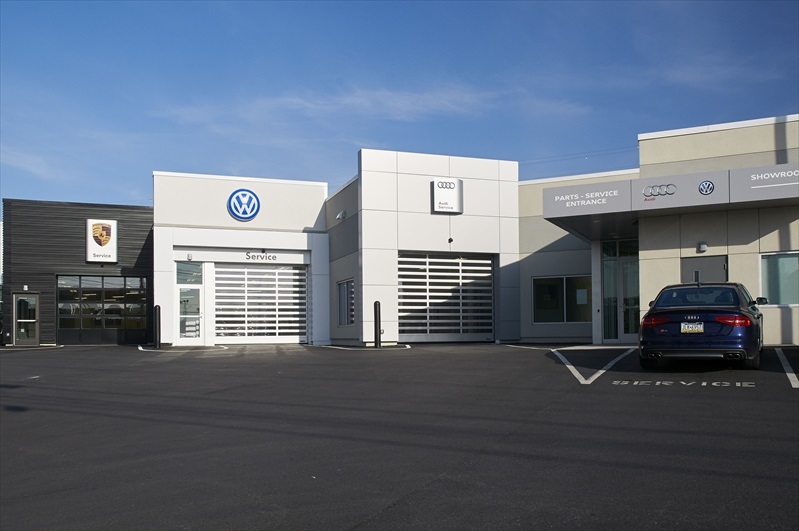 PDC’s master plan provided a thoughtful integration of the Audi, Porsche and Volkswagen brands on the highly organized, well-landscaped site while also developing a supporting pre-owned automobile showroom and detailing shop addition. Two successful design results were achieved by maximizing retail use of the highly visible urban 12 acres while developing a well-landscaped, but confined, green area central to the site and outdoor automobile displays. 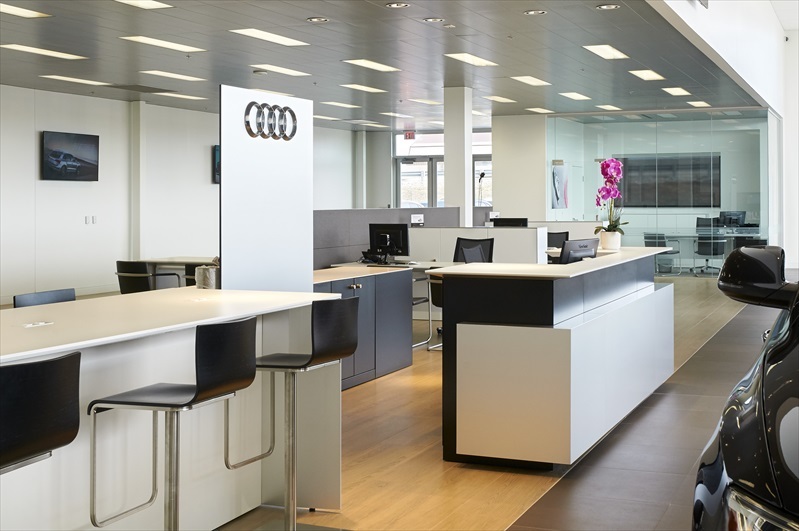 PDC’s design professionals collaborated with engineers from German automobile manufacturer Audi whose American operations are overseen from Audi Headquarters in Ingolstadt, Bavaria, Germany. 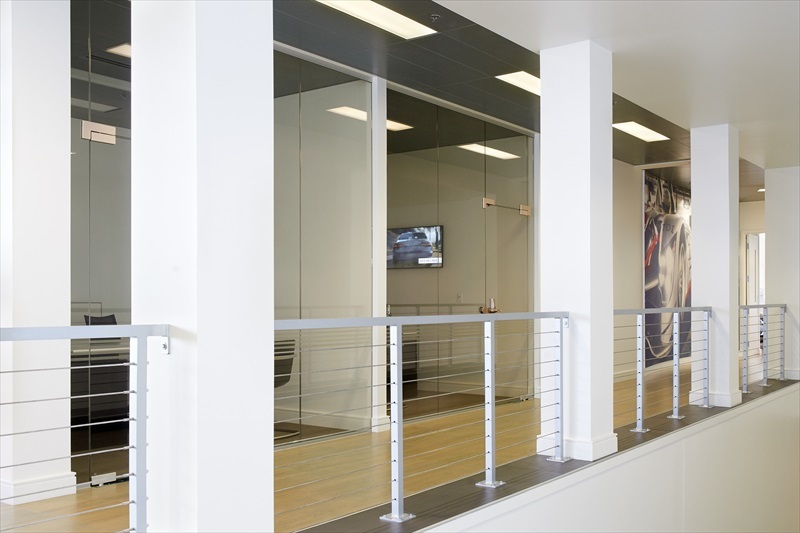 This collaboration resulted in the development of a cost effective 10,000 square foot building design based upon Audi design standards and brand requirements. 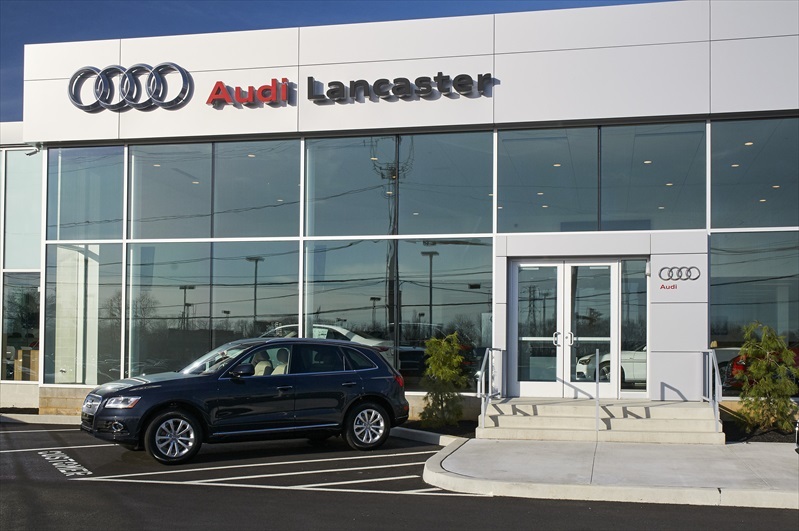 The phased five-year dealership campus construction program consisted of a new Audi Showroom, Volkswagen showroom, Porsche showroom, Pre-Owned facility and automotive detailing facility. 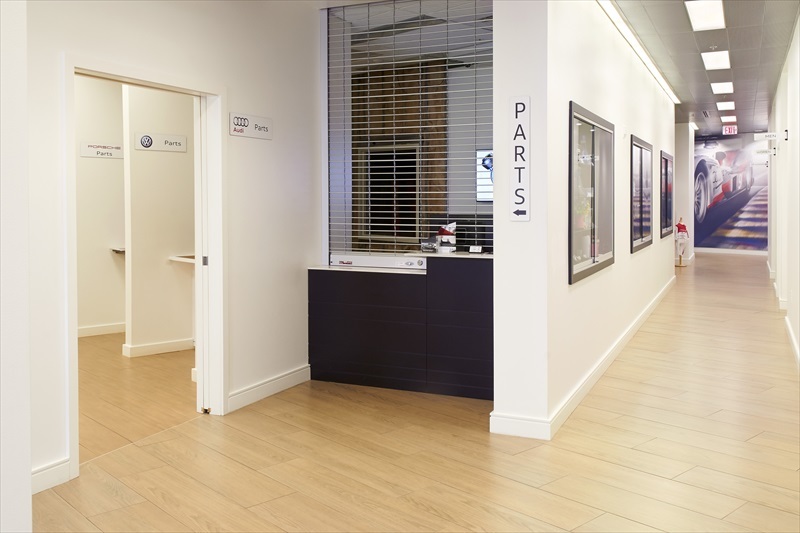 All work was completed while Autohaus maintained ongoing business operations.